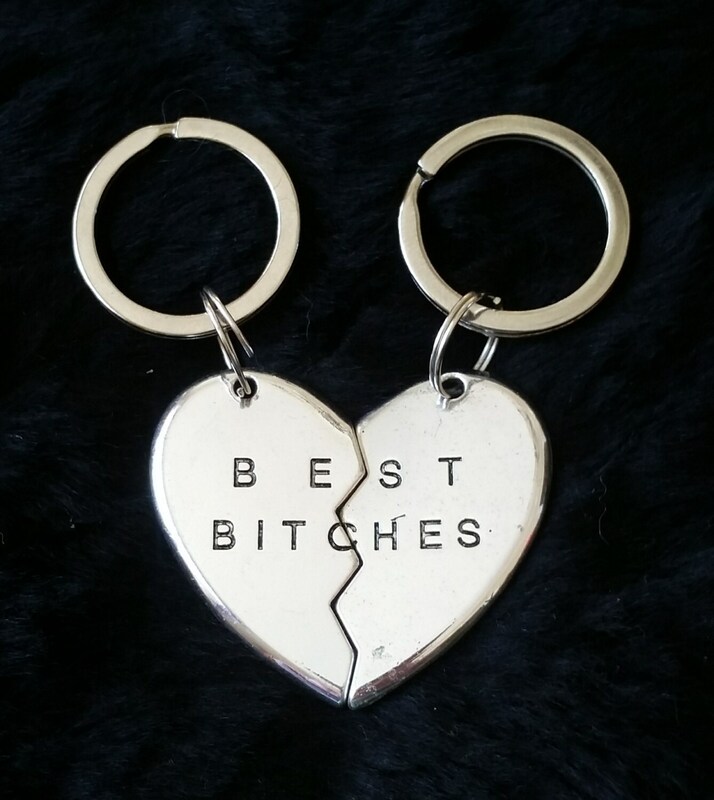 Show your love for a best friend with this silver-tone stainless steel keychain set. The heart portion of the key chain is approximately 1.5" in length. See photo for overall dimensions of the key chains.